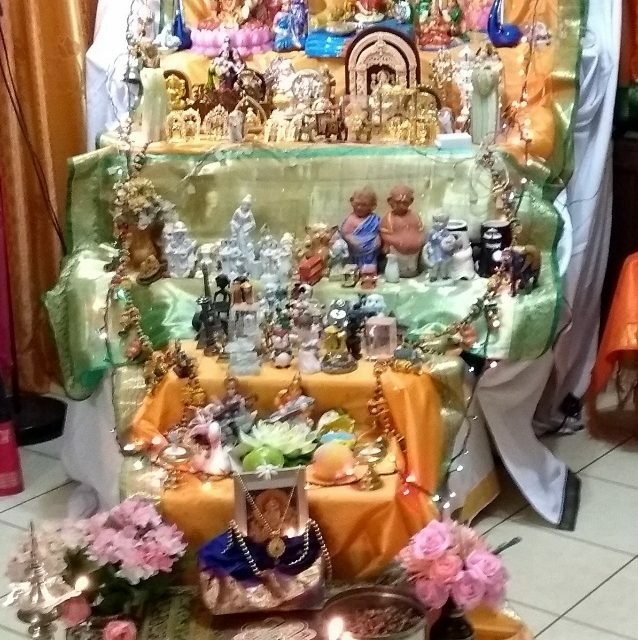 Navarathri is an important festival that is celebrated by Hindus from all regions (Gujarat, Tamil Nadu, Delhi, Karnataka ect) and countries with Hindu practitioners (SriLanka, Nepal, Fiji, Malaya, US etc) during the month of Oct-Nov (Tamil month of Puratassi after the Newmoon day). Nava means nine and rathri means night. This grand Hindu festival is celebrated for nine nights and Ten days. During the navarathri festival, we evoke the energy aspect of Trimurthi Lady Goddess in the form of Durga Devi who removes all the miseries of life. The divine mother is also known by several names such as Ambikai, Chamundi, Parasakthi. She is the personification of Energy. Energy is indispensable to do anything in this materialistic world, and hence it is very appropriate that we pray the goddess of energy – Durga devi. Devi Durga is portrayed as riding a lion, and carrying weapons in her many arms. She represents the furious powers of all Gods. In the Hindu Mythology it is believed that she took this form to destroy the demon Mahishasuran. She did penance (thapas) by standing on a needle head for nine days and on the tenth day she won the battle and the asura was killed. She assumed the scary form of Chandika, pinned Mahishasura to the ground and was victorious. How is Navarathri celebrated in South India ? Navarathri commences on the new moon day (Amavasya) in the month of Puratasi. In South India, women keep dolls in tiers (steps) called Golu. Then following the daily pooja in the house, a kalasam which is a Pot decorated with cotton thread and filled with water and mango leaves and coconut kept on the top. This is called kalasa sthapana. After cleaning the place where kolu is going to be kept, the steps or tiers are arranged. Then tiers are covered with white cloth and dolls are kept in each tier. Lower forms of life are kept in the bottom most step and gradually the animals and then dolls of gurus and finally the dolls of Ganesh and other Gods are kept in the first top most tiers. A kolam or Rangoli is usually drawn in front of the golu. Every day the women of the house lights the lamp in the morning and evening which is kept on the rangoli kolam. Every day flowers and prasadams are offered to kolu. This kolu represents the Devi and hence we say our slokas (prayers) and sing songs and hymns in praise of Durgai in front of the kolu. In the South Indian tradition, when a girl gets married, her mother gives her a special type of doll called Marapachi bommai (a man and women) to start her golu collection. The doll is made of a type of wood which is available in holy shrines like Thirupathi. After this the girl will start collecting dolls every year. During the Nine nights of Navarathri, neighbors, friends, and relatives especially young girls and women are invited to see the kolu. When one goes to kolu it is expected that the guests sing songs on Devi. The host rewards the young girls with prasadam which is a sundal and also small gifts. Now a days, the bommais / dolls arrangements in the kolu depict a theme. It can be religious or social like Dasavatharam, Meenakshi Thirukkalyanam, Ramar Pattabishekam , or a shop set, where groceries are sold. People are very creative and make miniature parks with waterfalls and dolls representing people and vehicle to artificially decorate kolu. The first three days of Navarathri is devoted to Durga – to give us courage. In the next three days we pray to Mahalakshmi- to give us wealth and in the last three days we pray Sarasvathy- for knowledge and education. On the ninth day, which is the Saraswathy Pooja or Audha Pooja day, school going children keep their books and elders keep all the tools and instruments. They pray to get good knowledge and skills for prosperity. The Tenth day of the festival is called Vijaya Dasami, the day when Mahishasura was triumphed. This is a very auspicious as kids start primary education (or Vidhyarambam) on this day. This is also considered as the best day to start to learn music, dance etc. This is also a day when students who are learning music and dance pay respects to their Guru /Teacher (Guruvandanam). On Vijayadasami night symbolically a doll will be laid down marking the official end of this festival. After this, the dolls are packed and stored for kolus in the subsequent Navarathri’s and the tradition continues. In Tamil Nadu this celebration is popularly called as Kolu, in Karnataka it is Dasara and in West Bengal it is called Durga Pooja. In Gujarat, people celebrate it with music and Garba dance. In Delhi and some northern states the highlight of Dussehra is Ram Lila. It is enacted for 10 days to mark the 10-day battle fought between Rama and Ravana and on the 10th day a giant effigy of Ravana is burned in open ground witnessed by thousands of devotees. Music and dance performances, religious talks and special poojas are held during this time in temples and in other community celebrations. In general, during the celebration of kolu in addition, praying the goddesses of Durga, Lakshmi and Saraswathi – art, traditions, the ancient culture are respected and patronized. It also gives us an opportunity to visit friends and socialize in spite of our busy schedules. 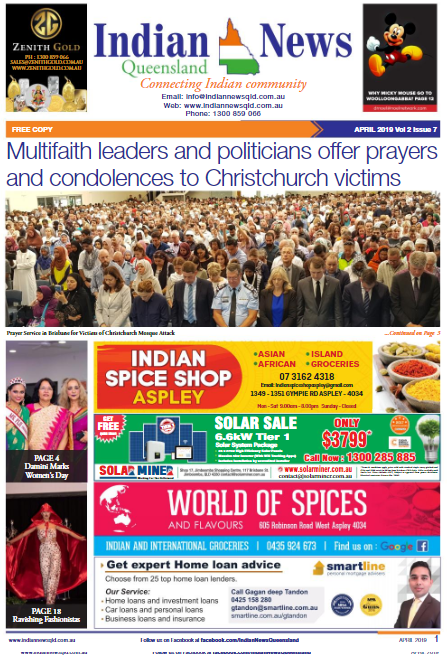 The Hindu Cultural Hub at Clayfield is a centre to congregate and promote spiritual, cultural and educational needs of local community and wider Hindu society in Brisbane. Devotees and friends assemble at the Bar-Jai Community Hall (178, Alexandra Road, Clayfield) last Friday of each month between 7.00pm to 9.00pm. Our next cultural congregation falls on 30th of November 2018. We are currently interested in building our networks and relations with different communities around local and Brisbane area. If you are interested to get involved, please contact us on 0469016416 or 0427999129.